Sandy-haired, tall and burly George Harris Kennedy, Jr. was born in New York City, to Helen A. (Kieselbach), a ballet dancer, and George Harris Kennedy, an orchestra leader and musician. He had German, Irish, and English ancestry. A World War II veteran, Kennedy at one stage in his career cornered the market at playing tough, no-nonsense characters who were either quite crooked or possessed hearts of gold. Kennedy notched up an impressive 200+ appearances in both TV and film, and was well respected within the Hollywood community. He started out in TV westerns in the late 1950s and early 1960s: Have Gun - Will Travel (1957), Rawhide (1959), Maverick (1957), Colt .45 (1957), among others; before scoring minor roles in films including Lonely Are the Brave (1962), The Sons of Katie Elder (1965) and The Flight of the Phoenix (1965). The late 1960s was a very busy period for Kennedy, and he was strongly in favor with casting agents, appearing in Hurry Sundown (1967), The Dirty Dozen (1967) and scoring an Oscar win as Best Supporting Actor for his performance in Cool Hand Luke (1967). 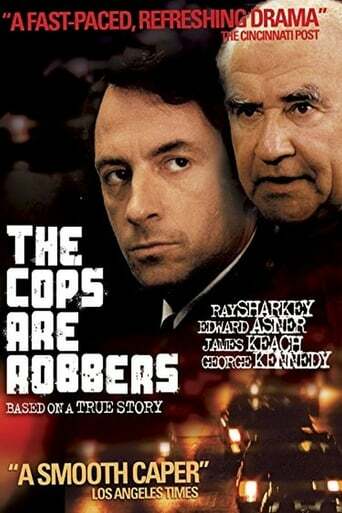 The disaster film boom of the 1970s was kind to Kennedy, too, and his talents were in demand for Airport(1970) and the three subsequent sequels, as a grizzled cop in Earthquake (1974), plus the buddy/road film Thunderbolt and Lightfoot (1974) as vicious bank robber Red Leary. The 1980s saw Kennedy appear in a mishmash of roles, playing various characters; however, Kennedy and Leslie Nielsen surprised everyone with their comedic talents in the hugely successful The Naked Gun: From the Files of Police Squad! (1988), and the two screen veterans hammed it up again in, The Naked Gun 2½: The Smell of Fear (1991), plus Naked Gun 33 1/3: The Final Insult (1994). Kennedy remained busy in Hollywood and lent his distinctive voice to the animated Cats Don't Dance (1997) and the children's action film Small Soldiers (1998). A Hollywood stalwart for nearly 50 years, he is one of the most enjoyable actors to watch on screen. His last role was in the film The Gambler (2014), as Mark Wahlberg's character's grandfather. George Kennedy died on February 28, 2016 in Middleton, Idaho.